A hinged silver box of hexagonal form with a slightly domed cover. The cover and the straight sides are decorated with intricate repoussé and pierced designs of birds flying among flowers and leafy branches, against a ‘cracked-ice’ ground. The designs on each side are enclosed in a foliate cartouche. The flat base bears a two-character mark ‘Da Fu’, supposedly the workshop’s name. 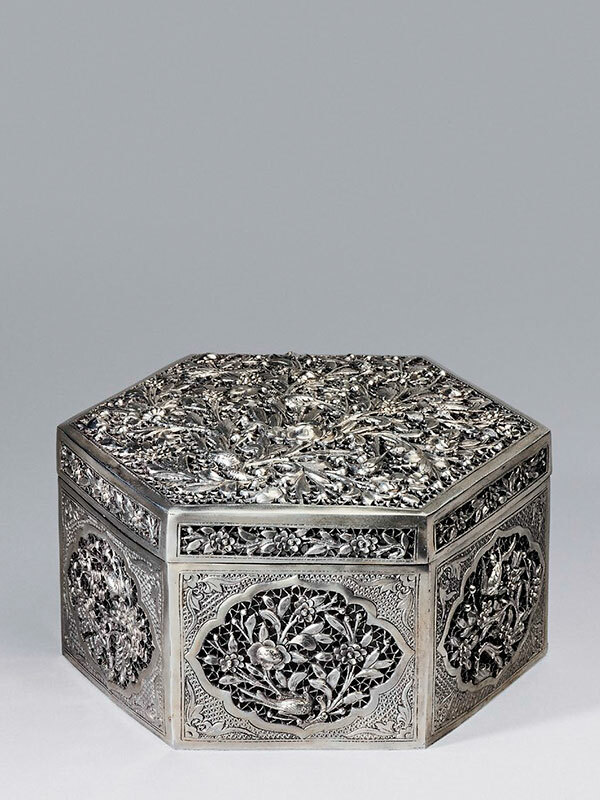 This beautifully made silver box with its openwork design epitomises the quality of the workmanship of Chinese silversmiths. The floral design against a ’cracked-ice’ ground became popular during the Kangxi period (1662 – 1722), as the ‘cracked-ice’ ground was said to imitate that of the cracked glaze found on Guan ceramic wares of the Song dynasty (960 – 1279). 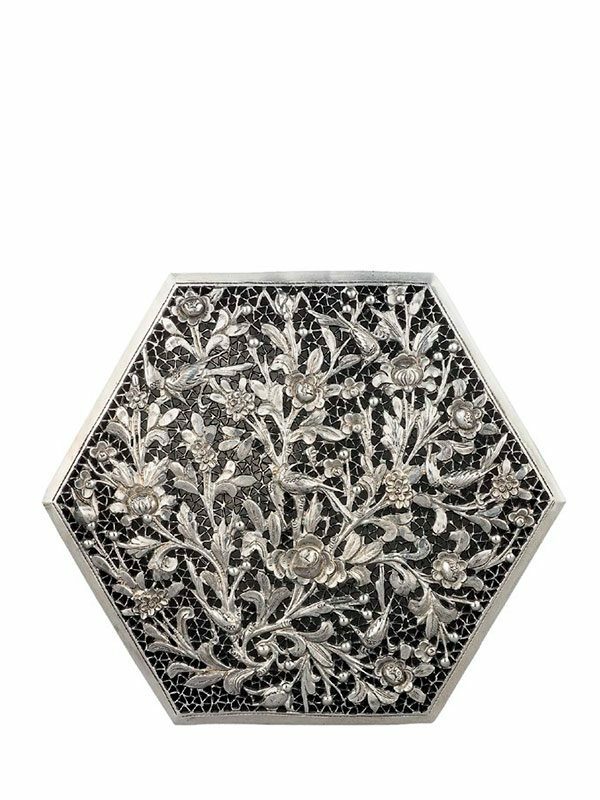 Some comparable export silver pieces are in the Chait collection, including a repoussé circular box similarly decorated with prunus branches and flowers against a cracked-ice background, and a hemispherical bowl; its sides ajouré with chased chrysanthemum buds and leaves.